Skip the long walks and the uncomfortable shuttle rides and let Ross Limo help kick off your cruise from Los Angeles in style. We offer door-to-door stress-free transportation accommodations for groups of all sizes. Depending on your preferences, we offer luxury sedans that can seat 2 – 3 people comfortably. For larger groups, we offer 6, 8 or 10 passenger stretch limos. We also offer luxury SUVs for groups of 6 or less and luxury vans for groups of 10 or less. 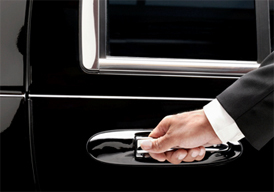 Providing first class limousine service for the last 12 years, our elite chauffeur service group is dedicated to safety, reliability and customer service. No matter the size of your group, we can accommodate your needs. Asking friends and relatives for rides can be stressful and time consuming. Take the stress out of your transportation arrangements and let us get your vacation started. Let us provide premier Los Angeles limousine service for your cruise trip. Our team is standing by 24 hours a day to respond to all of your transportation needs.